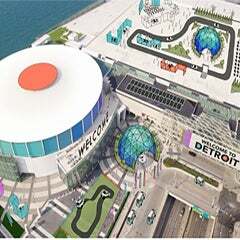 Detroit February 4, 2016 – With the 2016 North American International Auto Show packed up, moved out and enjoyed by record crowds, Cobo Center marks the completion of its five-year transformation, a record number of new meetings and conventions, and a look toward the debut of Cobo Square this spring. The new gathering spot is the capstone of the $279 million dollar renovation. The adaptive reuse design of the old arena incorporates 45,000 square feet of outdoor flex space, which includes a large terrace now called Cobo Square. Starting this spring, the terrace will be used for programming that includes art fairs, exercise and yoga, biergartens and other elements designed to connect Cobo Center to the community and the downtown Detroit culture. It also infuses activity into the center between major events. 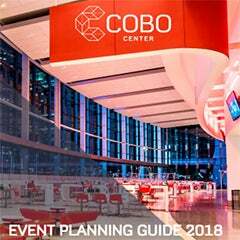 And the major events at Cobo Center show a remarkable return on investment with 85 hosted in 2015 compared with 35 in 2010, a gain realized while the building was under construction. 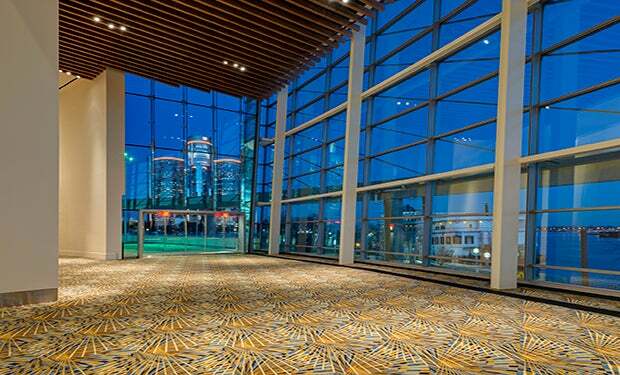 The convention center now operates with 400 event days each year, double its pre-renovation amount of 200 days. 2016 is on track to beat that record. 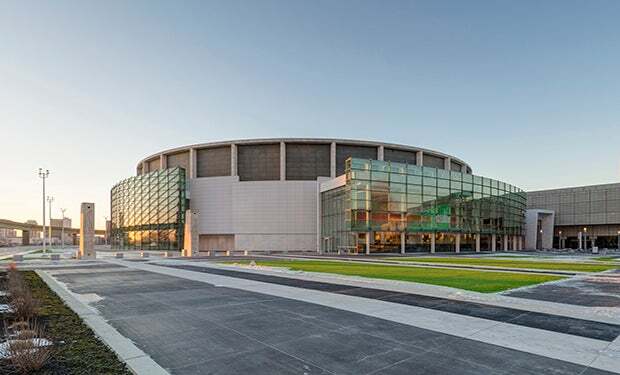 “The Detroit Regional Convention Facility Authority (DRCFA) began on a mission of regional cooperation and through the success of this renovation, became an example of what is possible when people work in consensus. 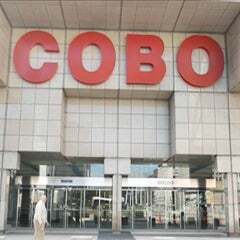 Cobo Square will continue this important mandate, bringing people throughout the Metro Detroit region together in community celebrations,” said Larry Alexander, chairman of the DRCFA and CEO of the Detroit Metro Convention and Visitors Bureau. - The broadcast studio, one of the few in the country in a convention center, serves as a broadcast command center for events, uplinks satellite signals for live global broadcasts and has a sound-stage used for webcasting and taped feeds. 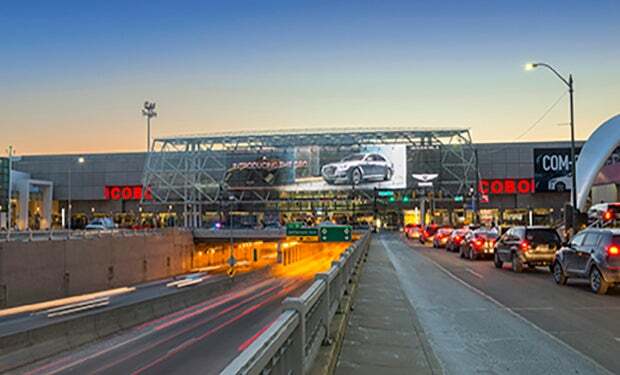 - The 160-foot by 30-foot digital sign on the exterior of Cobo Center overlooking Washington Boulevard and Jefferson Avenue used to highlight events. - Massive renovations and an increased spotlight on Detroit has resulted in dramatic increases in attendance for international events like the Aluminum Show which returned late last year, the Intelligent Transportation International Conference which had greater attendance in Detroit than in Tokyo, and the NAIAS which had $30 million more in economic impact from 2015.